Home / Guides / Explore St. Louis – amazing city on Mississippi River! Do you think that all roads lead to Rome? 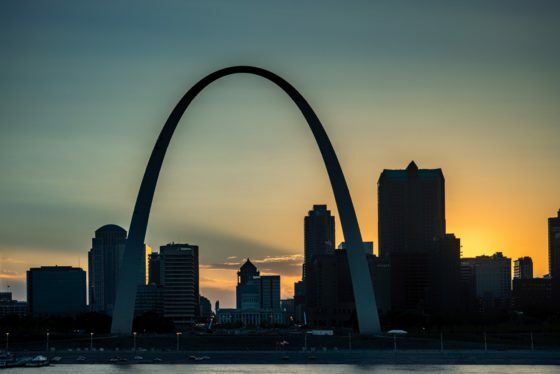 Maybe, but we are definitely sure that all highways lead to the lovely city of St. Louis, once upon a time the gateway to the American Midwest! St. Louis was founded at late 18th century by French traders Laclède and Chouteau and named after the French king Louis IX. The city is famous for its amazing architectonic attraction Gateway Arch symbolizing the gateway to the mythical American Midwest. The city life rhythm is linked to the baseball and Mississippi River, one of the rivers that forced Route 66 to cross numerous bridges. Many music legends such as Chuck Berry, Tina Turner and Miles Davis got their start here. Download the guide and get the best travel and photo tips including GPS location of all interesting spots. Jae is an American photographer born in Colorado and based in the St. Louis metro area for more than 20 years. She loves to travel and has travelled extensively in the United States, Europe and Thailand. But even when at home, she tries to keep the same sense of adventure – looking for novelty in the everyday; finding the extraordinary in the ordinary. St. Louis, like most cities, has beauty and decay, but the most satisfying photographs find the beauty in the decay. Jae scours the city and surrounding areas, looking for texture and life in architecture and landscapes. Everyone has a history and every place is central to a story. A musician by profession, Jae has only recently become passionate about her photography. She has photographed nearly her entire life, but only to document travels, not to make art. Now, has found that she can do both. This entry was posted in Guides and tagged Bellefountaine Cemetery, Chain of Rocks Bridge, Cherokee Street, City Museum, Eads Bridge, Forest Park, Gateway Arch, Laclede's Landing, Lafayette Square, St. Louis. Bookmark the permalink.